12 Round Fitness is unlike anything you’ve ever tried before. Their high intensity group workouts are designed by professional athletes and trainers to help you reach and then smash your fitness goals. Built around functional strength, conditioning and sports-based cardio activities, 12 Round Fitness provides the ultimate ‘total body’ workout. At 12Round there are absolutely no excuses, and a new round starts every three minutes! Bring Boxing Gloves + Inners/Wraps, Sweat Towel, Drinks Bottle. *Please Note: If you don't have Boxing Gloves, theye have Gloves + Inners available for Hire at $5.00 or to buy for $39.00 (Cash only). 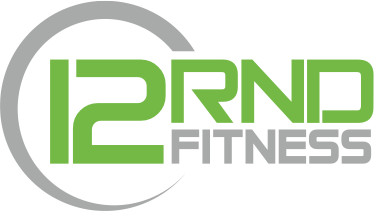 12RND Fitness Prahran is located at 26-28 Chatham Street, Prahran. Due to the Cato Square Development Construction, Parking is now available along Chapel Street, and also in the Car Park on top of Woolworths. Fast and high intensity, great motivation - the trainers wont let you slack off!! Haha great to hear this, gotta make that 45 minute session count! The trainers were awesome and I loved the heart rate monitors. Added a little bit of competition and motivation! Would definitely recommend. This studio was fantastic, the trainers really look after you and explain all the exercises to you. Heart rate and activity belt was really motivating to see how hard you are working. Definitely give it a go! Thanks for the awesome review! Glad you enjoyed our session, hope to see you really soon! Great all body workout ! Cool fella, explained all the stations as we moved through them. Always amazing. Love these guys.